Jul 13, 2018 Leah M.
Just had Tuffy install muffler and tail pipe on my 2005 Jeep. They did an excellent job and great service. Really nice and trustworthy people. They did not try to pressure me on anything and I appreciate that very much. Jun 15, 2018 John S.
Took my car in this morning for an oil change. Was very pleased with the professionalism and honesty of the shop and the people who work there. Had other issue with the car and they new exactly what was wrong. Didn't pressure me into fixing the problem...TWO THUMBS UP..
Feb 16, 2018 Helen B.
I hit a pot hole the other day when my muffler came loose. I took it into Tuffy to have them take a look at it. It was like they told me on the phone, the flange came loose and another part towards the rear had come loose as well. They said it would cost me $75 for repairs and parts and labor. It was just as they said. The service was friendly and fast. Brandon checked it out for me, and the car was done in no time. He also advised me the under the car was in good condition for the year it was (2004). It's nice to know a business in town is just as honest as you would think. I appreciate it Brandon for your honest and friendly help. It drives like a dream. Nov 01, 2017 Barry P.
I went to Tuffy in Jackson expecting to wait, and an expensive repair to my young son's car. Tim brought the car inside, checked it out and made a recommendation for the repair that was quick and cost effective. "You only get one chance to make a first impression" Tim and Brandon used their opportunity well. If I need a repair in the future, I know where I'll be going. I also needed a body work estimate, and Tim suggested Bedore's Mid Town Body shop on Francis street! Another great place! Pat at Bedore's had the door's on the car adjusted so they closed and latched properly, and had it all done within a half hour of starting. The nicest surprise......no charge! What a way to win anew customer. May 20, 2017 Joan W.
I've taken my vehicles to Tuffy for many years and have never had a bad experience. The employees always provide customer service with a smile and they get the work done in a timely manner. I will continue to take my car there. Great job guys. Feb 09, 2017 Rose Mary T.
Entire Staff 'Top Notch'. No frills, just Honest Prices and Work Well Done. Makes one Feel Good knowing they are here and Truly Care about their customer base. Feb 02, 2017 Rick E.
Top notch service!! Dan, Tim, Brandon, & Chris are the consummate professionals. These guys are the real deal! Trustworthy, honest, and up front. I recommend Tuffy to any one who wants and honest and fair deal for their money! Dec 23, 2016 thomas e.
Oct 27, 2016 Rose Mary T.
As a customer of Dan and his entire staff at Tuffy's, they All are Top Notch and that goes for their work done as well. They go above and beyond to work with a customer on all levels of their services and costs. I can surely attest to that fact. Good service and honesty means a Whole Lot! They won't disappoint! May 13, 2016 Valerie W.
Totally satisfied with my new muffler! I drove in on my lunch hour just to get a price and make an appointment. Instead they took my car right in and had it done in an hour! The guys are so friendly! I will definitely go back to them for future work. Thanks! Nov 10, 2015 Annette P.
Treats women respectfully, easy to deal with, great service. Nov 10, 2015 Dave W.
This shop consistently provides polite and timely service. I've learned to trust them explicitly. Found to be an honest shop with fair pricing. Oct 06, 2015 Rose T.
Dec 24, 2014 Linda P.
I would highly recommend Tuffy in Jackson. The service is great and they did everything possible to get me back on the road quickly. Only place I will go for service from now on. 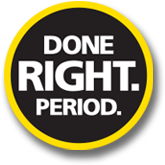 Mar 03, 2014 Mike S.
I’ve been a customer for years and always receive excellent service and honest professional advice! I highly recommend their service to anyone. Dec 04, 2013 Carol B.
I was in town for the Thanksgiving holiday, and had some trouble with the gas gauge on my car. Dan was wonderful! They looked at the car quickly and efficiently, made sure it was safe to drive and gave me great advice about getting further repairs at home. This is a great garage--excellent, personal, prompt service. Thank you! Dec 03, 2013 Debbie E.
I would highly recommend Tuffy of Jackson. Their customer service is awesome! I have had major and minor service completed several times and they are accommodating and recommend other local businesses for other automotive services. Jun 16, 2012 Kevin D.
I've been taking my vehicles to Dan and his crew for many years. They've done everything from oil changes, to front end alignments, exhaust work, to a complete axle swap! The service and customer service are top notch. Tuffy of Jackson has earned my repeat business time and time again. I highly recommend them! Feb 09, 2012 Carol E.
cme ‎ - Sep 1, 2009 Thanks Tuffy-men :) Hi I had a problem with a damaged muffler for my generator. Although these folks could not repair it, they did take it apart for me, removing the still-functional exhaust pipe. This while I was treated to a cup of coffee and today's Citizen Patriot to read. Recommended highly. Feb 05, 2012 Gary W.
Thanks for doing a quick, great job...fair and honest to deal with. Will definitely recommend. Feb 02, 2012 Kim S.
I actually had my muffler bracket break off on my lunch hr on my way back to work and they were right down the road, and per a co-workers great testimony as well, I took a chance since I had never been there before, But to my suprise they were able to fix my muffler in a few hrs, and most of all HARD WORKING, Honest, All around good people, I will go there from now on for all of my future repairs.. Thank you again. Oct 17, 2011 Christopher L.
I discovered this Tuffy location a little over a year ago and have had friendly service and quality work every time. Tuffy Auto Jackson, Your Complete Auto Repair Specialist! Has your check engine light come on? Do you need to patch a tire, select a new tire, get an oil change, wheel alignment or tire rotation? Then come check us out in Jackson, MI for all your auto repair needs! 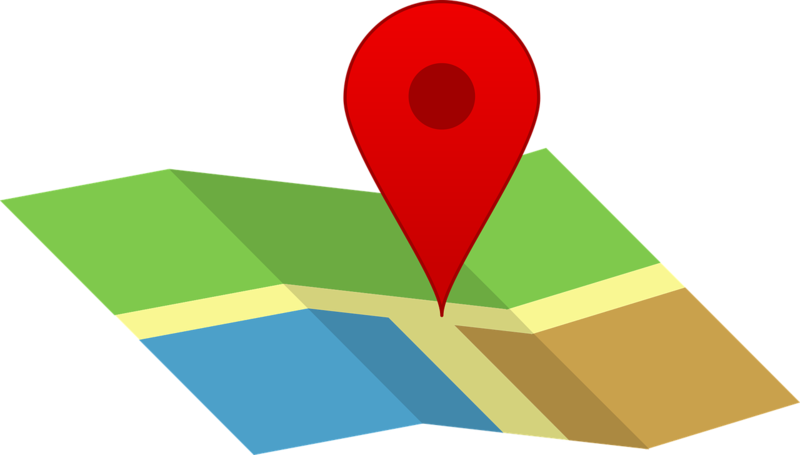 We are close to and happily accept customers from the Spring Arbor Township, Blackman, Grass Lake, Albion, Leoni Township, Summit Township and Chelsea communities too. Here at Tuffy Auto Jackson, we care about each and every customer. Check out our service list for a complete list of all our exhaustive auto repair services. It's important to take care of your transmission, suspension, and electrical system so you can safely get on the road again. We do all types of preventive maintenance, which can help you keep your warranty. We do engine repair, brake repair, and exhaust diagnosis and repair.